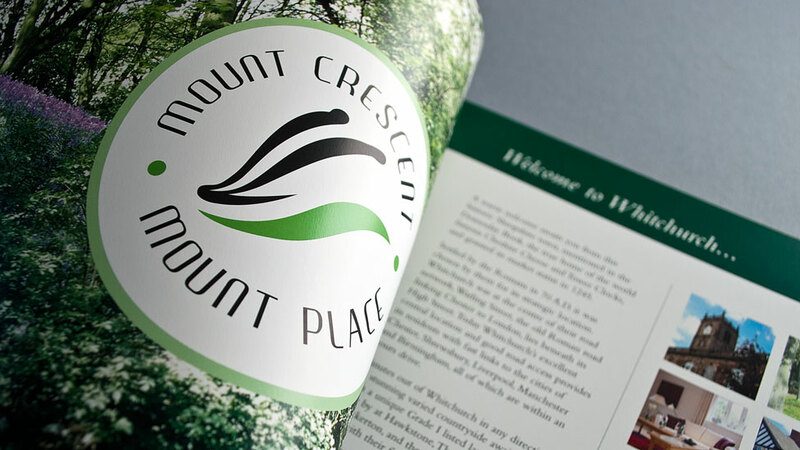 A truly unique development, Mount Crescent in Whitchurch – a beautiful market town in northern Shropshire – required a truly unique property brochure design. Based within the town centre grounds of the old Mount Hotel, the site consisted of 22 properties, including the conversion of the former Grade II listed Mount Hotel, providing 4 very distinct houses and 3 beautiful apartments, with a further 15 new town houses built on the periphery of the development. If the location wasn’t already special enough, at the back of the development there is a collection of badger setts, protected by The Protection of Badgers Act 1992. Landlink also had the great idea to add live cameras into the setts, which can be tuned into by the property owners. This gave us the idea to incorporate the badgers into the brand for the site as we felt this was a really unique selling factor, and gave a country feel to the property brochure design despite its town centre setting. A combination of beautiful photography and bespoke illustrations, floor plans and artists impressions, the property brochure design suitably reflects the distinctive qualities of the development, and captures the imagination of potential buyers. 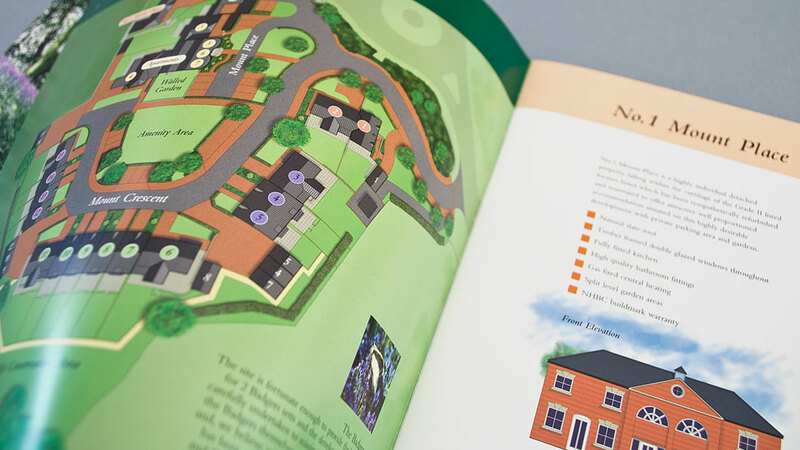 By carefully designing and printing a beautiful property sales brochure, the imagination of potential buyers can be captured, and it could be the decision-maker as to whether they buy or not.